Office Nomads DISPLAY LIVE is an interactive screen displaying live updates of active members, blog posts, events, and who is in the building at that time. Office Nomads is a co-working community in the Capitol Hill neighborhood in Seattle, Washington. They are dedicated to cultivating a dynamic, creative and collaborative environment for Seattle’s nomadic workforce. The co-working space was looking for an option to display who was currently in the office each day so people could network and plan meetings accordingly. Early on in the project it was quite obvious that only have a list of who was currently there was fall short of what was needed. I suggested adding more functionality. 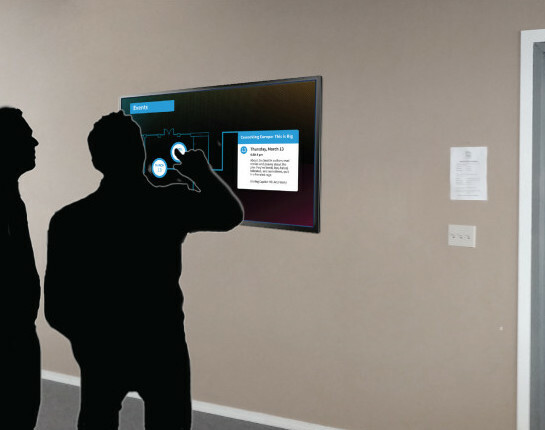 I designed an interactive touch-screen that displayed not only who was in the office that day, but also upcoming events, all members of the office, and blog posts. 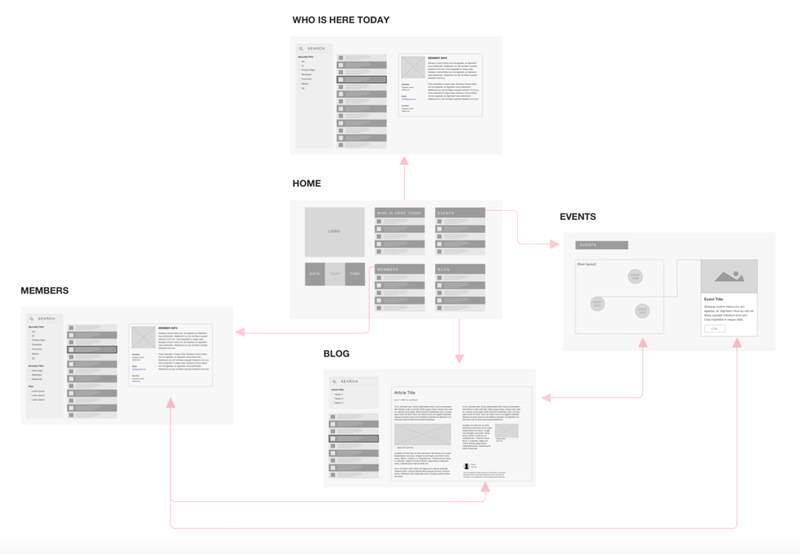 They wanted something simple and I proposed adding those four main sections to the home screen with additional secondary pages following once a user clicked into those areas. The events would showcase which room it was in, how they could sign-up, etc. The members and “who is here today” section would show contact info (if the member agrees to share), website url, when they would be in the office, and potential projects they were working on (optional). The blog would pull in the RSS feed from the website that was already up and running. If members choose to share their info, any event they attend or article they write will link to their profile. These are some of the motion pieces for the screen. It shows how the animation would work once a user interacts with an individual section. If a user clicked-on a member or event it would bring then to a different screen and show additional information.